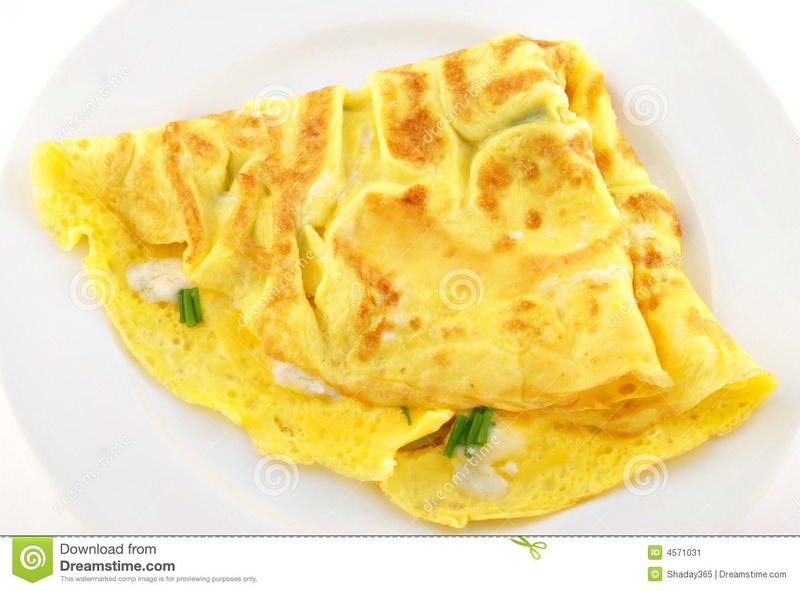 So to make this omelette, you HAVE to use 4 eggs. Butter/becel butter, salt and your own ingredients. First just make the eggs like you should but use 4 eggs. Then when you add a pinch of salt. Add whichever ingredients you want. When you think the base is solid enough, flip the egg until it looks like a crescent moon. Then keep interchanging sides, poking the middle of the egg often to ensure the middle was cooked yet liquid-like. When it's done place it on a plate. To complete the meal make toast and add a tiny pinch of salt. When done cut egg open and the liquid cooked egg stuff inside should leak out. Then dip the toast and enjoy!